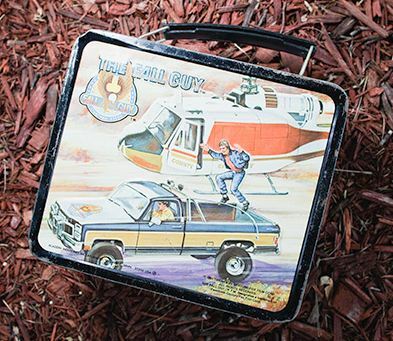 →Is This The Largest Lunchbox Collection In The United States? Is This The Largest Lunchbox Collection In The United States? In a previous post I discussed 3 prominent lunch box museums which are based in Ohio, California & Georgia. However, in researching that article I have since realized that I managed to overlook one other collection which is absolutely stunning! This bumbling oversight on my part (for which I apologize profusely) means that we can now add Eastpointe, Michigan to the list of notable US-based museums. The collection in question is owned by Dan Zieja who owns the Melodies & Memories record store near Detroit. Containing over 3,000 pieces it is open to the public and Dan himself claims that it is the largest of its kind in the country. I won’t dispute this (although Allen Woodall from the Lunch Box Museum in Columbus might do?) but what is for sure is that it contains some absolutely awesome pieces. Rather than go into the specifics here it is probably better for you to head over to this Wired article written by Chuck Squartriglia which has a great interview with the main man himself as well as some fabulous photos taken by Jim Merithew.